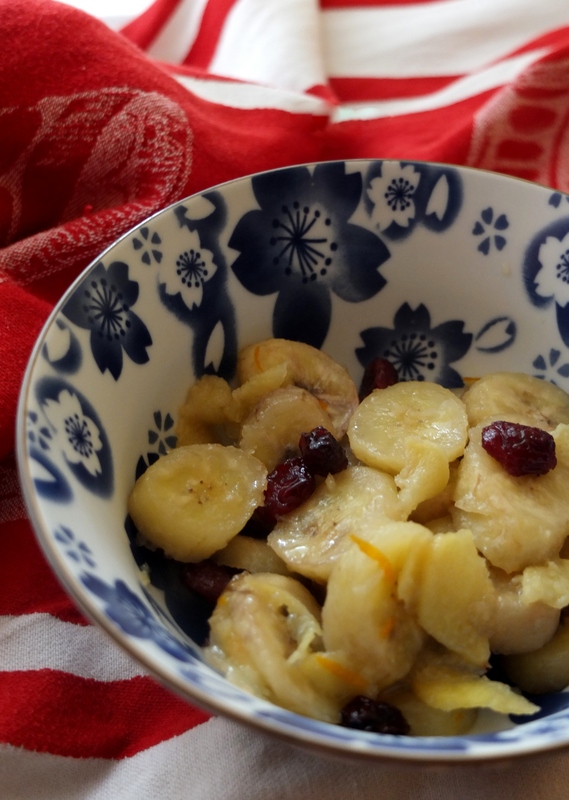 So thank you laChouett for organising the Pick the World Event, which led me to discover a great recipe for Seychellois ginger bananas on Celnet. I just halved the quantities and used cranberries (nice and tart), not raisins. 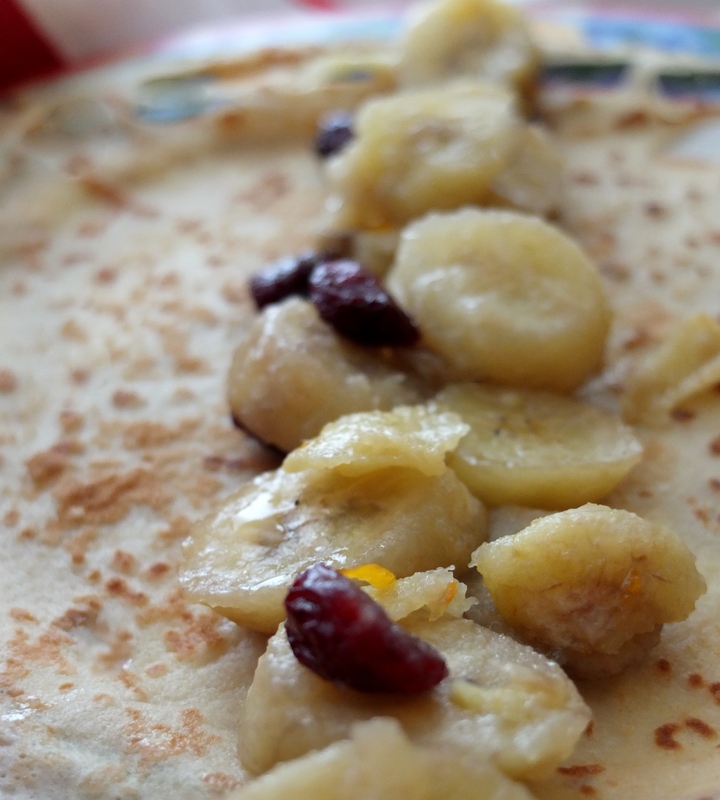 Then instead of serving the ginger bananas with custard or ice-cream I filled crêpes. Et voilà, Sunday Brunch sorted! 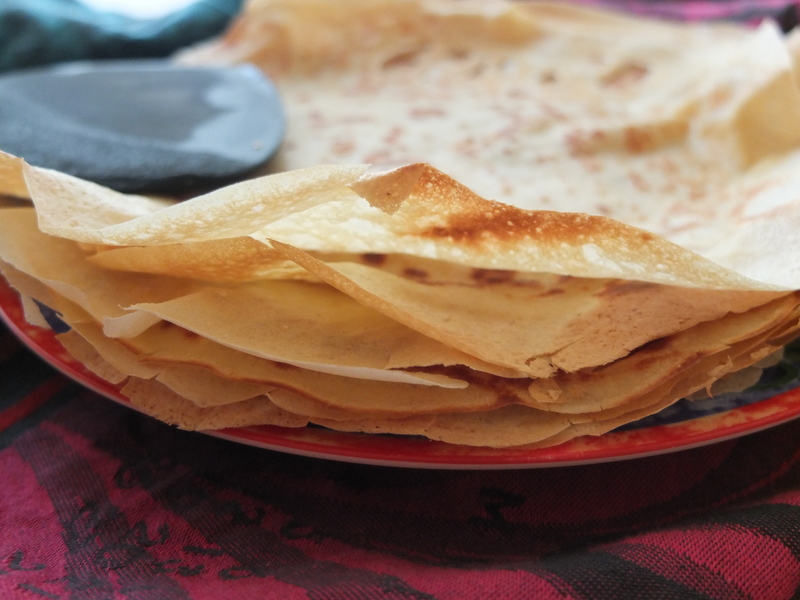 Make the spelt (or plain flour) crêpes (my recipe from an earlier post) but half the quantities to get 5 or 6 crêpes. Put the butter in the pie dish and place in the preheated oven for 5 to 10 minutes until the butter melts. Pour the melted butter into a bowl and reserve. Arrange the banana slices in the pie dish and drizzle the reserved melted butter over them. 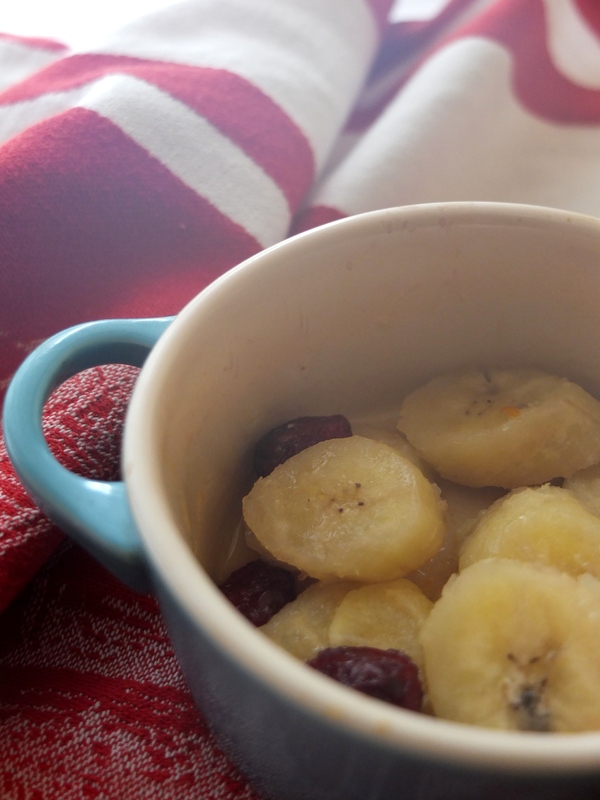 Sprinkle the cranberries and slices of fresh ginger over the bananas. 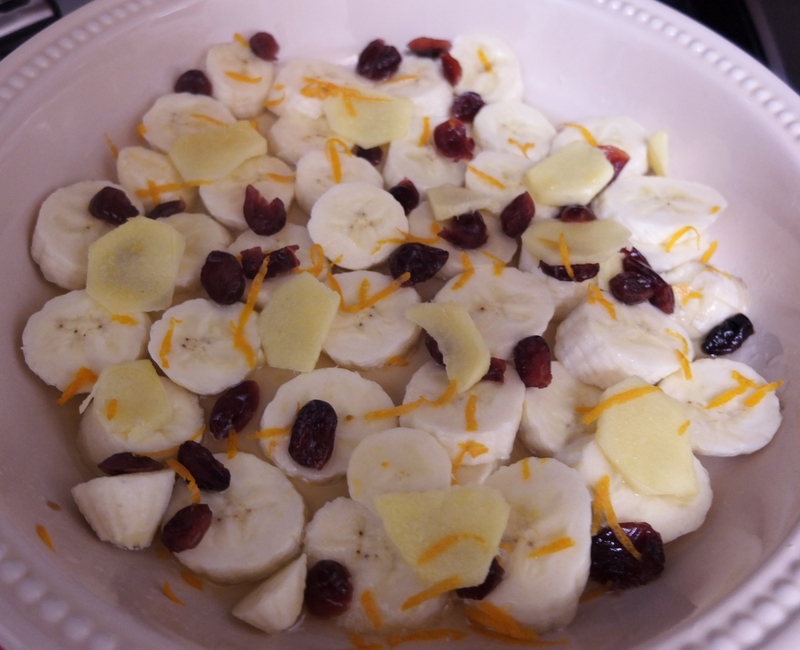 Pour three quarters of the syrup, juice and rum over the bananas, then sprinkle the orange zest over them. 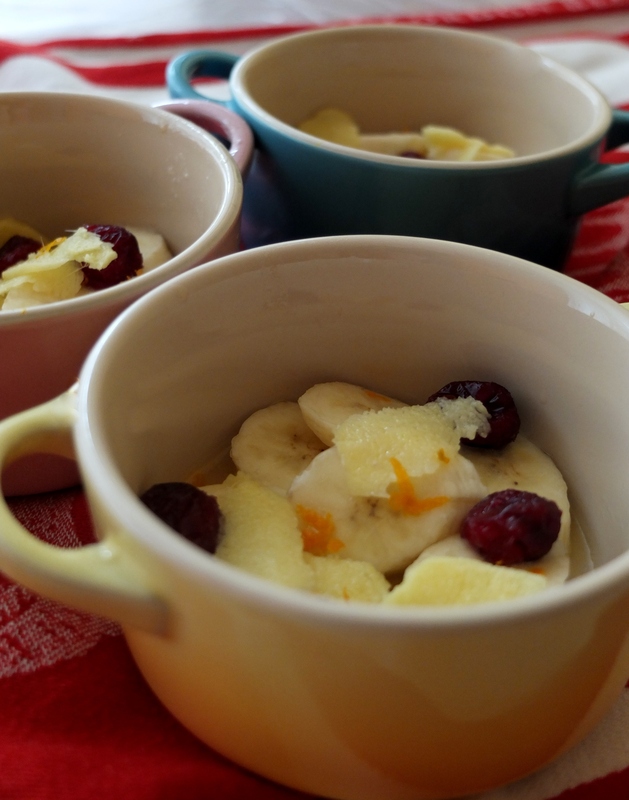 … or ginger bananas going in the oven in small cocottes dishes! Return the pie dish (or small cocottes) to the oven and bake 5 minutes then take out and drizzle the remaining syrup over the bananas so they don’t get dry. Bake a further 5 minutes. You want the bananas to cook without going dark or drying (the butter helps). Ginger bananas just out of the oven! I thought about taking the ginger slices out but as I love ginger I didn’t. And they were great! Up to you… And you can put in as much or as little filling as you like! It’s a fresh, vibrant flavour and I hadn’t tasted anything quite like it before. Try these ginger bananas then let me know what you think! I would love to try making it, Lili. Sounds yummy! And I know it would be healthy! 🙂 and did I mention yummy? 🙂 And no, you didn’t go overboard on the description! It’s perfect. I haven’t tried spelt yet but want to try other grains in my cooking. 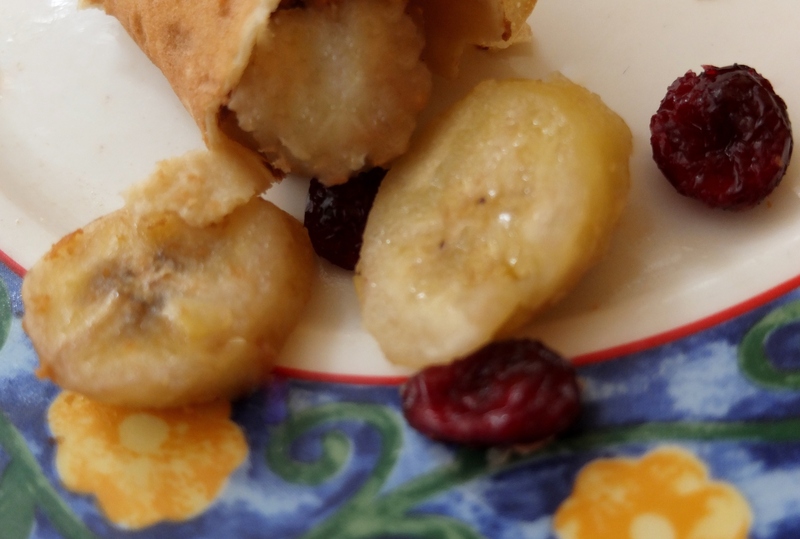 These crepes look delicious! 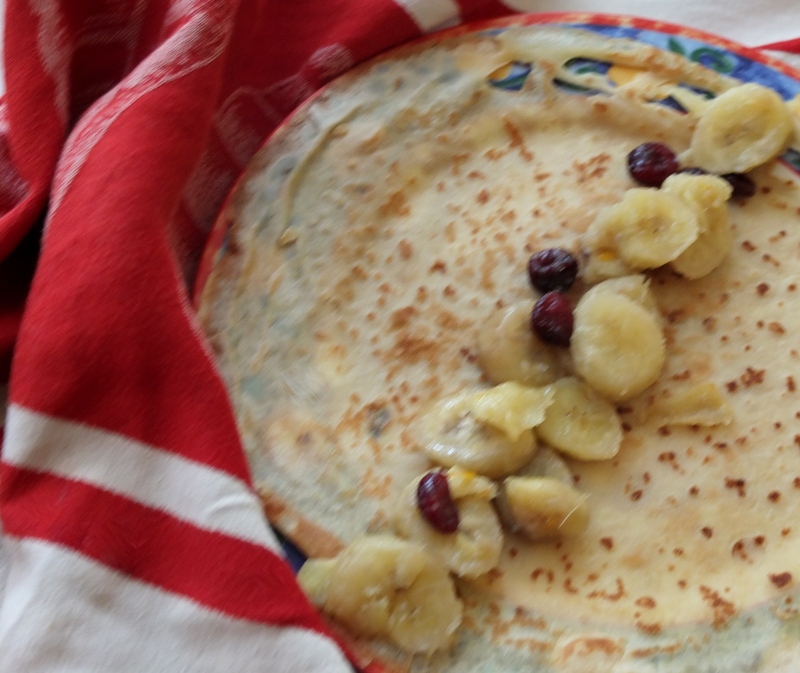 Hmm…I have the spelt flour, bananas, ginger… Looks like lunch to me. 😛 Fabulous, Lili! Haven’t made it yet, but when I do I’ll definitely take a photo for a shout out post!